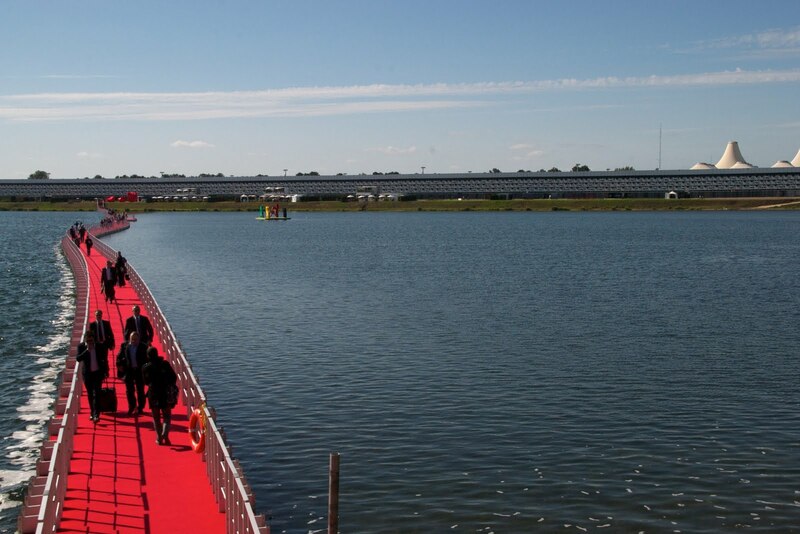 The red carpet pontoon stretched over the lake to the immense exhibition hall. Vinexpo was on the other side. With excitement and some degree of trepidation the Discovervin Team flashed our credentials and followed the red carpet into a world of wine. It should be noted that we were happy to see two life guards in a rubber raft floating happily next to the carpeted pontoon, ready to save any expeditioner who may have mis-stepped on the red carpet. Once inside the main exhibition space, Hall 1, we walked at least 800 metres to Hall 3. This and Hall 2 are two other large exhibition spacesn, set at right angles to the main hall. Hall 3 Row N was our destination as this is where we had our first Vinexpo appointment. On the way we passed stylish stands with wines from across France. The quality of the stands was incredible. Designer furniture, meeting nooks, bars, lounge suites, elegantly dressed hostesses, every conceivable way of displaying wine, lights, posters, magazines etc- no expense spared and of course WINE. Outside restaurants and brassieres lined the sidewalk. 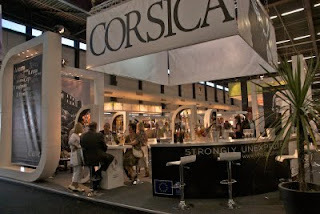 Seafood – with an oyster bar, and cuisines linked to the countries and regions show cased at Vinexpo including; Tuscan, Provencal,Corsican, Alsace. We chose the Brasserie Chez Yvette from Archachon on the Atlantic coast not far from Bordeaux. 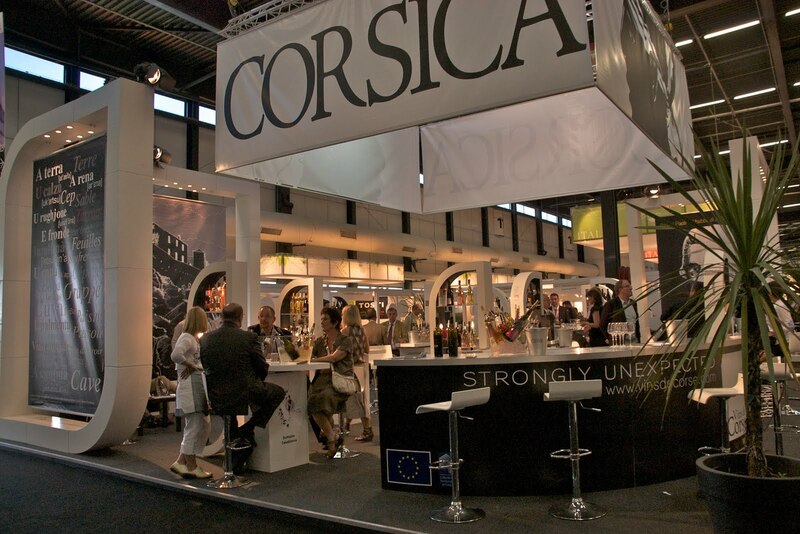 There were close to 50,000 visitors to Vinexpo over its 5 days, from over 140 countries. The Chinese were the largest non-French presence with all exhibitors eager to woo them. 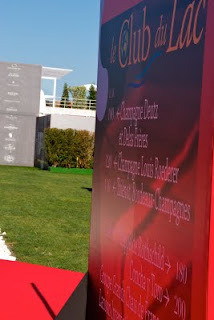 The Australian presence was subdued, both in terms of exhibitors – mostly large producers like Penfolds- and attendees. Walking the length of Hall 1, was a full kilometre, an international oenological experience. On that journey we passed through Italy, Argentina, Israel, California, Oregon, Chile and Spain, all with a myriad of producers showing their distinctive wines. Side trips to Provence or Languedoc- Rousillon were possible. Another detour was to step outside to the lakeside stall of the Champagne houses. A good expo to attend. New more simple and cheaper freight prices.